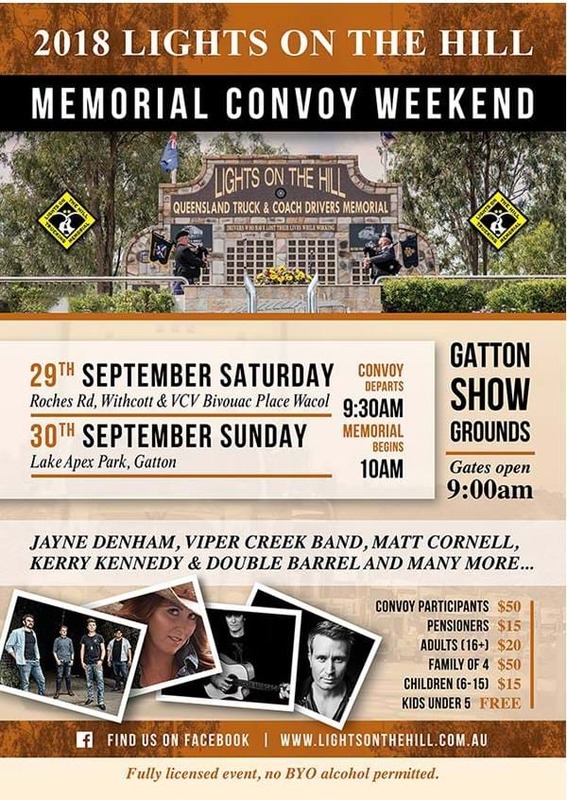 The annual Lights On The Hill Memorial Convoy Weekend is being held this weekend. This not for profit organisation is dedicated to the hard-working members of the Australian transport industry who have devoted the majority of their lives to carrying this country. Lights On The Hill is held to recognise the importance of our truckies to Australia's economy while remembering and honouring those who have lost their lives. Keep an eye out for the impressive convoy and head down to the Gatton Show Grounds and show your support.